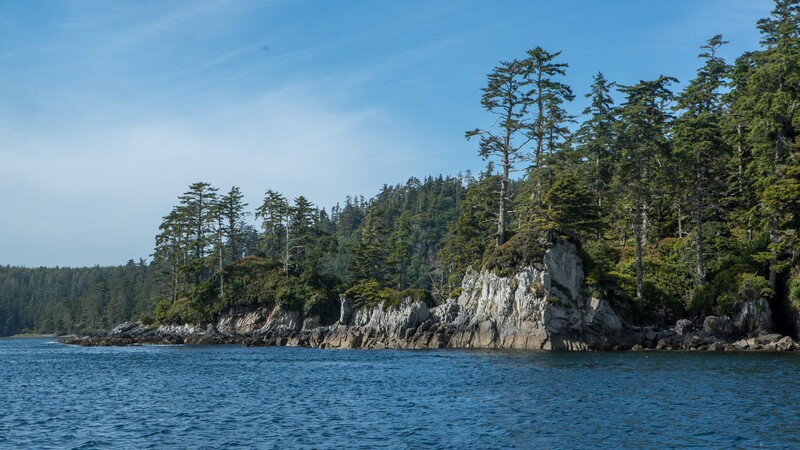 Hello again from the Langara Island fishing grounds. 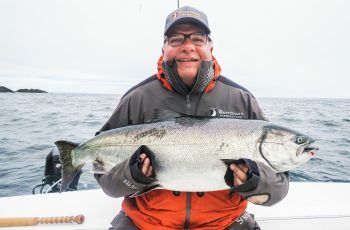 The fishing is crazy good the last three days so I will include a few pictures and a brief summary of what’s up in regards to the chinook fishery. The last three days have been crazy in here, with today being what some guides call a turkey shoot. There are chinook in most locations, but there is a wall of chinook on the WEST SIDE in numbers I have not seen in years. We have not seen the chinook in these numbers off the light in over ten years. The 40 fathom contour is plugged at the moment with 14 to 24 lbers, with an average size of about 16 lbs. 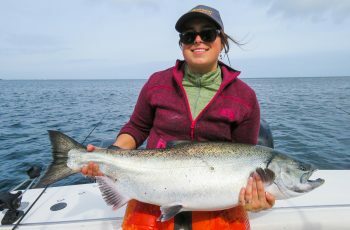 There is the odd larger fish in the mix, below is a photo of Bud and his guest Lea McMorran Furtney with a very nice tyee measuring 37 lbs, released of course. You can see the lighthouse in the background. 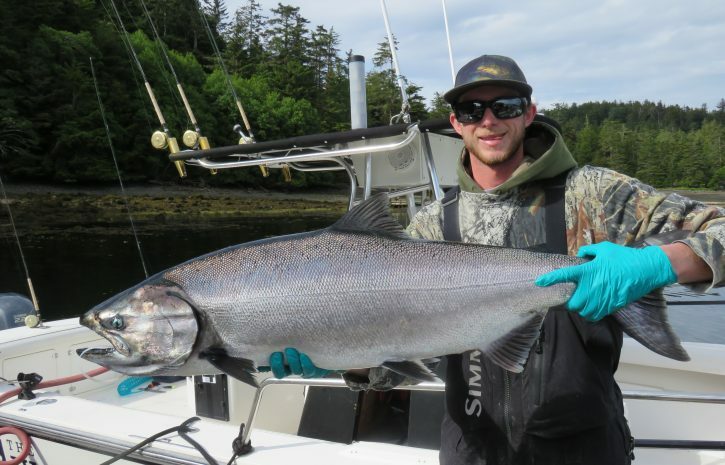 Bud grabbed this fish at 100 feet on the wire. This was top fish for the week. 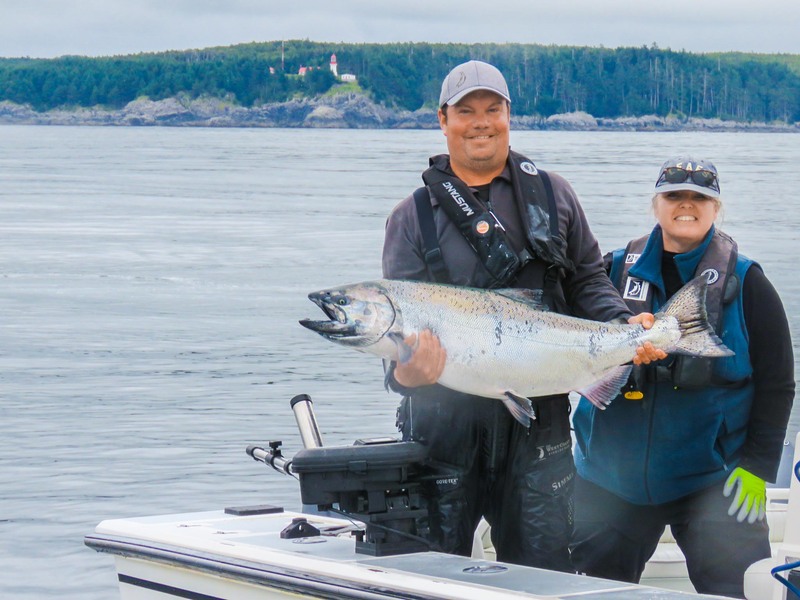 Bud and Lea with a nice 37 lb tyee. Bud releasing Lea’s tyee off the light house. 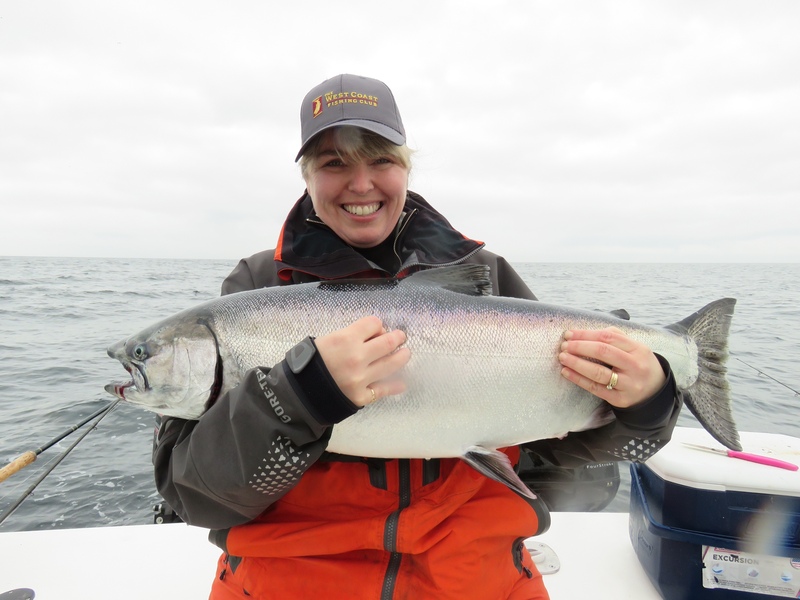 Below is a photo of Tracy Ludig and a nice mid twenties chinook we grabbed off Lacy. We were into oodles of chinook, yesterday easily hitting fifty chinook in short order. 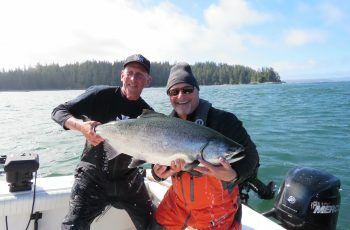 There were plenty coho as well, some hitting the 12 lb mark. The seas are calm and the bites plentiful. 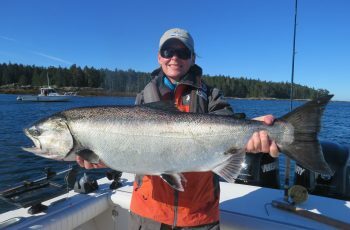 Tracy Ludig with a very nice mid twenties chinook off Lacy. 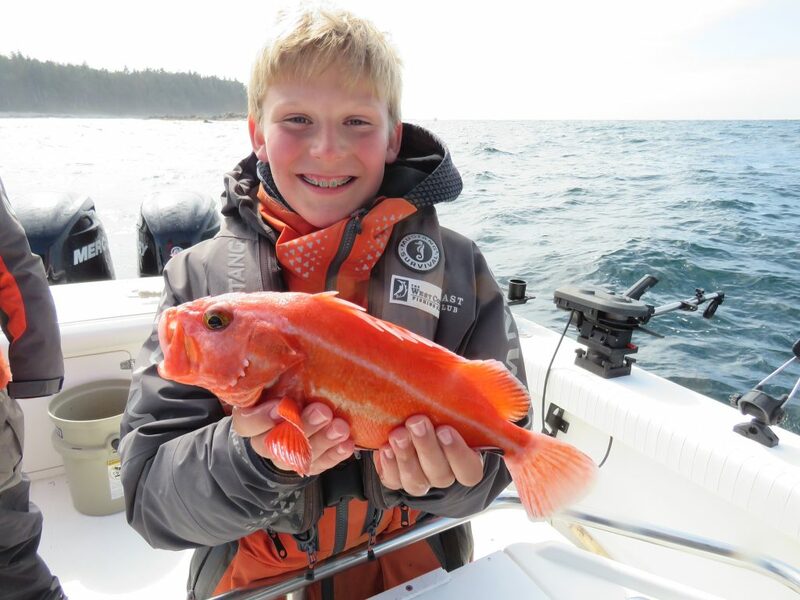 The previous trip we hosted lots of young adults, I had twelve year old first-time angler Caleb Johnstone aboard and we started small and colourful, here is Caleb’s first fish! Caleb’s first fish in the bowel! Caleb looking like a pro day two of his trip. 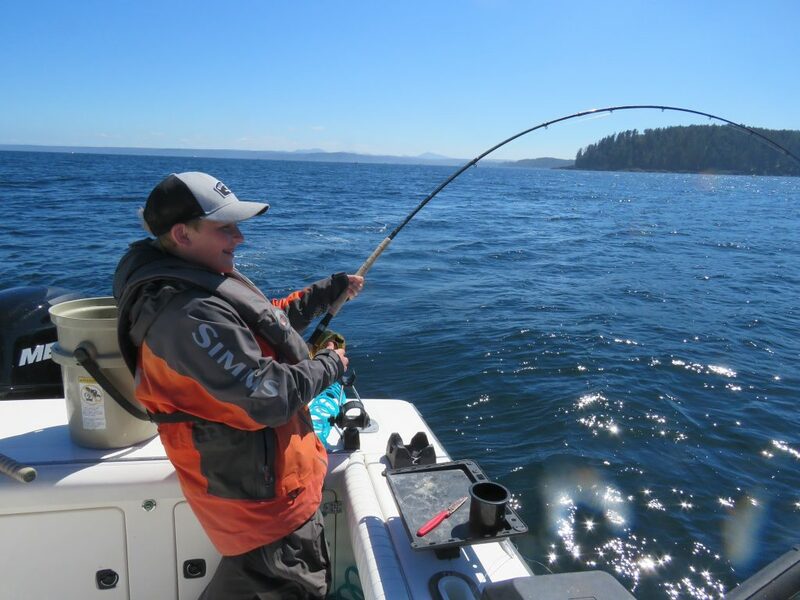 We soon found some nice coho and mid-teen chinook, not huge but plenty fun when you are starting out. Kids getting it done, what a great summer holiday! 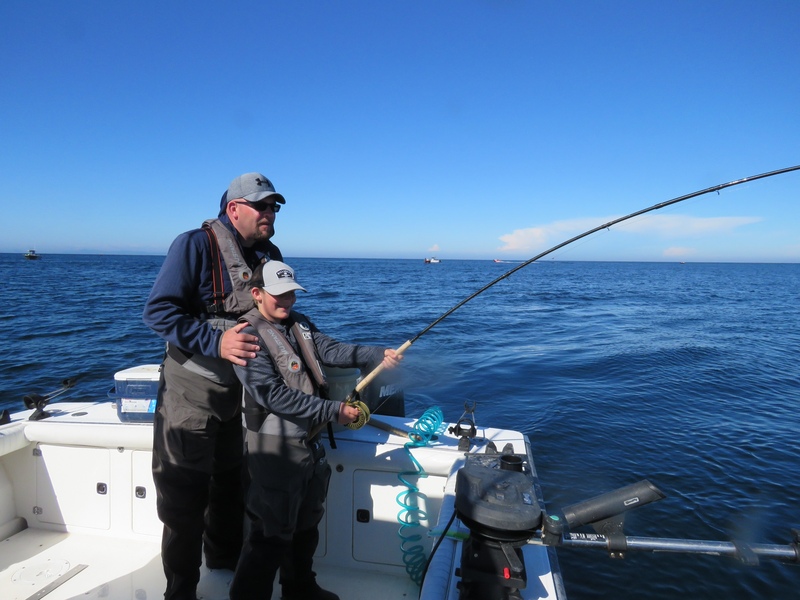 We moved on to halibut, and in short order Caleb had an oversized halibut we measured and released. The max size is 115 cms, this one measured 126 cm, a nice surprise on the east side fishery off Pillar Bay. 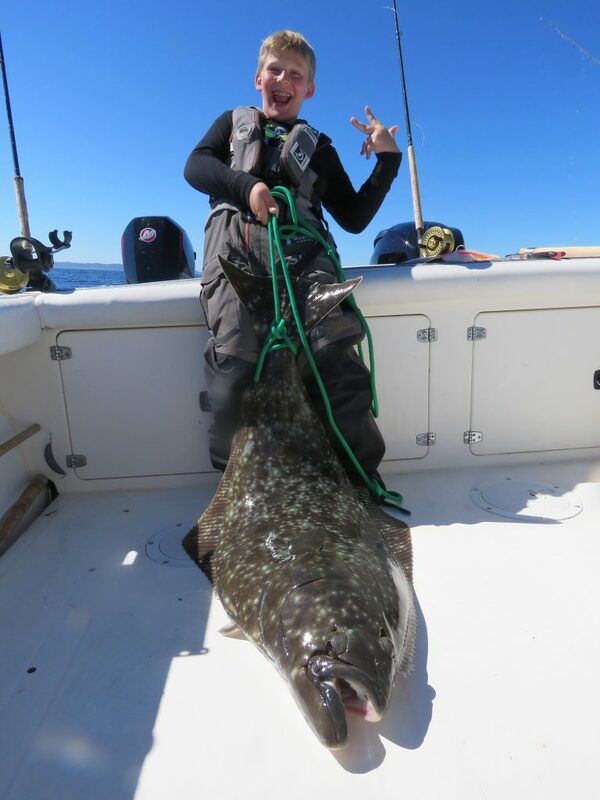 An excited Caleb and his first halibut, soon after released! 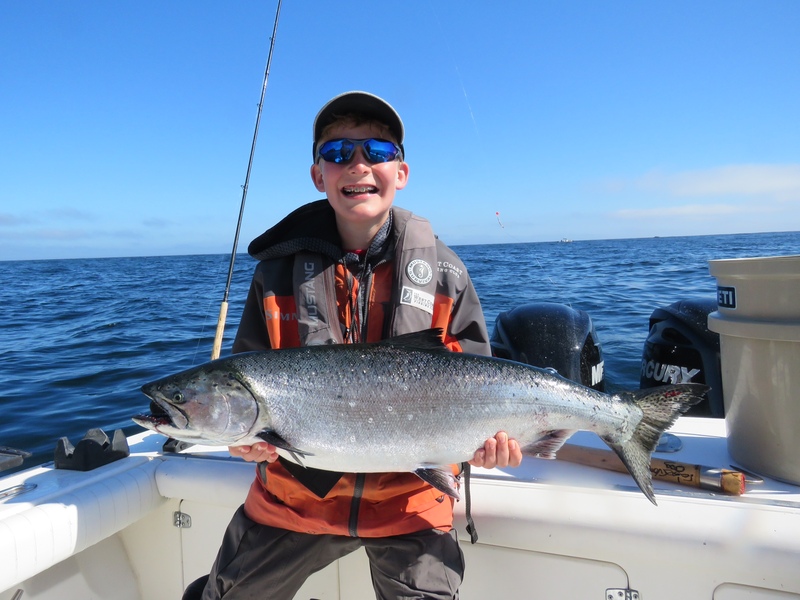 The month of July seems like a great time for the kids to fish…so many bites, greats weather, and in general calm seas. A great summer treat for sure. Caleb and dad enjoying a nice fish on a hot summer day! 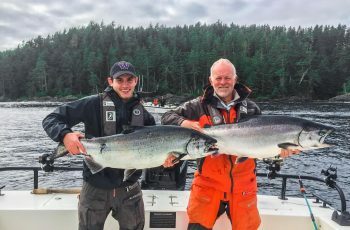 The fishing for tyees is just getting going it seems, we are hitting as a lodge two or three a trip. That said, it is very nice to see a great return of chinook passing by at the moment. 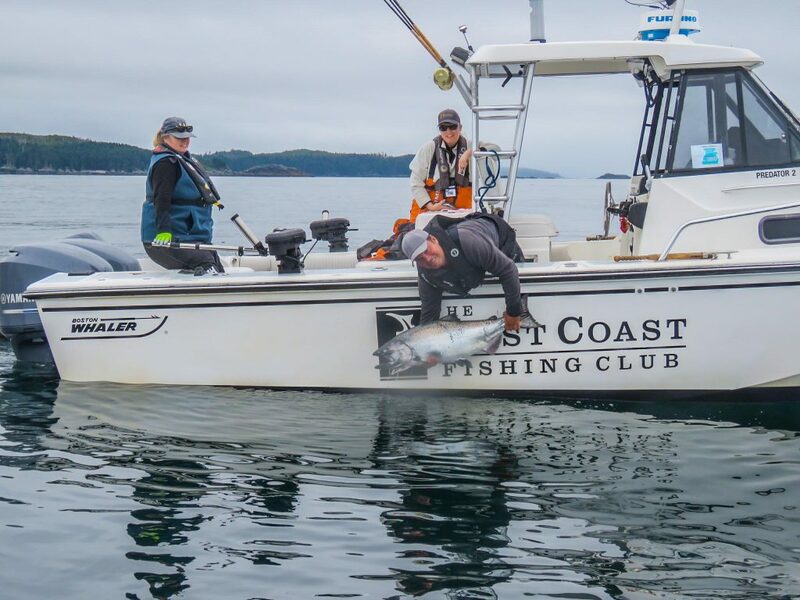 Eager biters, happy guides, busy fish cutters, it is on now here at Langara! Thanks for giving our family, Lea,Tracy,Tom and Kalle a memorable experience. We remember our time with Mike fondly and are glad the family was able to replay it!